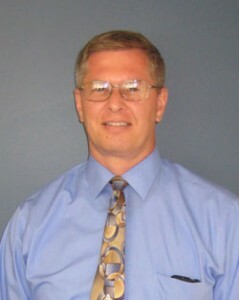 John R. Kamp, CPA — Kamp & Boer, P.C. John has been serving clients by providing high-quality accounting and tax services to individuals and small-business entrepreneurs since 1985. Whether it is in the preparation of an enterprise’s interim and annual financial statements, or in the preparation of an individual income tax return, John seeks to apply his academic and practical experience in meeting the tax planning and compliance requirements of his clients. Upon graduation from Trinity Christian College with honors in 1985, John received his Bachelors of Science in Accountancy, he went on to successfully pass the CPA Examination in November 1985. Several years later, he felt the need to strengthen his skills in the area of taxation, and enrolled at DePaul University, a graduate school that is nationally recognized for its excellence in its Master’s program in Taxation. These courses have provided cutting-edge instruction and in-depth analyses of many current topics and issues in taxation today. John completed this advanced degree in June 1998. Since 1985, John has been practicing public accounting in the Chicago suburbs and Northwest Indiana. These past number of years have given him a very diversified range of experiences. Among other things, he has worked with trusts, estates, payroll taxes, individual income tax, corporate (S-Corps and C- Corps) taxation, partnership tax and limited liability companies. He also has extensive experience in preparing financial statements and consulting with not-for-profit organizations. In addition, he has had a fair amount of experience in representing clients under audit by governmental agencies – most notably the Internal Revenue Service and unemployment divisions of the state. John has also headed the corporate tax department of a national logistics company that provides freight-forwarding services to all 50 states. John also serves on various boards, and continues to assist not-for-profit organizations by advising them in their tax issues and form filings. In establishing and further developing a tax practice in Schererville, Indiana, John’s full intent is to combine the past experiences in these positions with the advanced tax degree. Together, these building blocks have given him the ability to meet the accounting and tax needs of today’s individuals and small-business entrepreneurs.